Getting away from my regular charity work on Sundays, today was the 49th day of the 5×50 Challenge where Team 5×50 Andalusia and Beyond have been raising funds for Acompalia who are building a hospice in Granada province. Team 5×50 Andalusia and Beyond are 69 people from around Europe who have clocked up an amazing 3,884km to date. For my part I’ve recorded 236km over 34 active days, a total of 34h45m plus whatever I do tomorrow and that’s substantially more walking than I normally do. 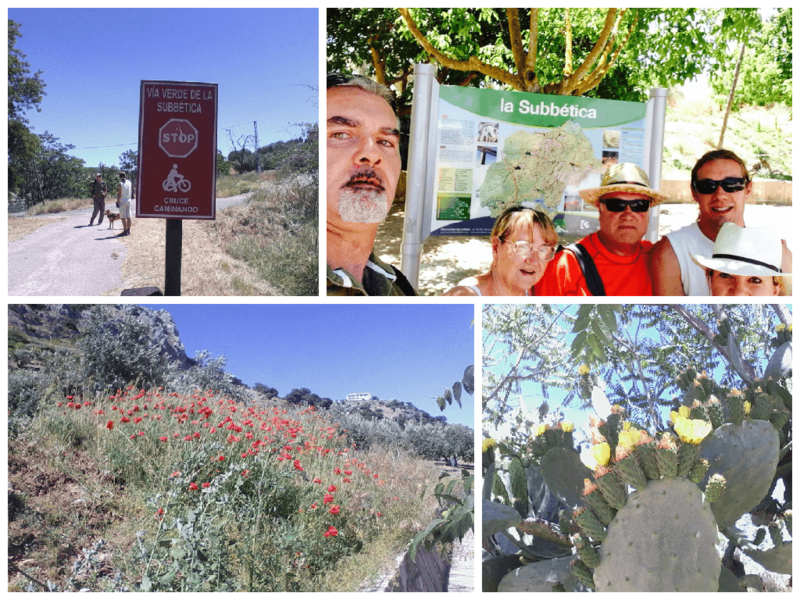 Anyway, it is all about raising money and today our small group set off for a gentle stroll along the La Vía Verde de la Subbética in Córdoba from Zuheros to Estación de Luque. The company was good, the weather was great, we raised a few €uros and even Nushhhhh (the dog) enjoyed herself although she walked and ran twice the distance that we did. Like dogs do. Obviously.